As one ages, one ceases to digest the sugar in milk (Lactose) any longer but diary product has been proven to increase longevity then came another diary product the body can digest called yogurt got by serendipity. It was accidentally discovered by the ancient way of storing milk in hot climate. Yogurt is a turkey word which means to thicken. It is agreed by historian that yogurt was accidentally discovered through the process of storing milking in hot climate because they discovered yogurt from Central Asian herdsmen who store extra goat milk in containers made out of animal stomach while they sojourn. They discovered this milk are still edible after it's being preserved for a long time and it thicken after going through a long time in hot sun. Nevertheless, yogurt are prepared by heating up diary product to 85C (185F). We have other myth that it was consumed by the accent Greek as the food of the gods and noted to increase longevity of life. The reason was that yogurt contained good bacteria that bloomed when it interact with the stomach bag. Making it a hostile environment for bad bacterial to thrive. Long before 1905, yogurt was not mass produced, till a Burgarian Microbiologist Stamen Grigorov discovered Lactobacillus bulgaricus, the bacteria strain that ferments milk into yogurt. 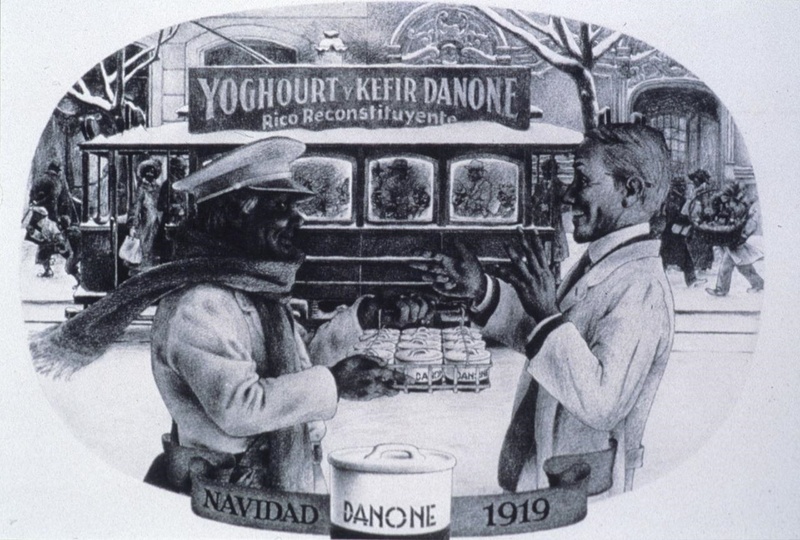 Soon after Grigorov's breakthrough discovery, Danone, (or as we know it in the US, Dannon), began to produce commercialized yogurt in 1919 in Barcelona, Spain. The serendipity of the discovery of yogurt brought the discovery of a therapy called probiotics. Probiotics are live good bacteria and yeast good for the body, especially the digestive system. They keep the gut healthy. The body has good and bad bacteria that helps it in functioning well, doctors often encourage the intake of yogurt to help the gut. probiotics are often encourage after the use of anti-biotics to help balance the good and bad bacteria in the body. They are lots of probiotics that is good for the body and does different function. You could ask a doctor that which is best for your body. One simple and easy probiotics that should come to mind is Lactobacillus discussed above. It is found in yogurt and other fermented food. It helps with diarrhea and people who are unable to digest lactose (the sugar found in milk). I believe the digestion of lactose goes with time but with yogurt, you get the best out of milk. Another probiotics is Bifidobacterium. which helps with bowel irritation it help ease the symptom of Irritable bowel syndrome. Probiotics are generally found in supplements. You could check this supplement out to see if it would be helpful. Bowtrol Probiotic.